Vodka is a relative newbie in the American cocktail scene, making its first big appearances in the middle of the last century. Though we were used to liquor and produced a fair share of the world's rums and whiskeys, this clear, tasteless spirit drew us in and its hold has never let go. Russia, Poland, and other European countries have long been known for their exceptional vodkas, though the United States is quickly gaining ground. In the last few decades, we have seen the American-made vodka market explode. Many of these brands are hand-crafted and produced by extremely talented master distillers. They not only care about the taste of their vodkas but the ingredients and processes behind them. Distilling vodka has become a new American art form. This craft market had a slow start, with just a handful of brands making great vodka. Today there are countless vodkas produced throughout the country, each with their own style and many taking advantage of locally available resources. Charbay is distilled in California's Napa Valley and with that geographical esteem, one would expect it to be a very fine beverage. The Karakasevic family has a long tradition of making fabulous wines and spirits and the quality of their vodkas is unsurpassed. The distillers take great pride in their craft and use only American corn that is GMO-free in their vodkas. The flavored vodkas are produced only once a year when the fruits have reached their peak and are ready for the natural extraction process that takes months to complete. Charbay has perfected small-batch vodka and they have some very fine whiskeys, rums, and tequilas as well. Vodka distilled to 192 proof from GMO-free corn grown in the Midwest. Flavors produced from real fruit extractions. Around the time of Square One's debut on the market, the term organic brought up thoughts of over-priced food and drink that were often unworthy of the cost. It was the quality of products like this vodka that helped re-shape our attitudes. Square One Organic Vodka is a clean, smooth vodka that you want to drink on its own. It revolutionized what I thought organic could be while staying competitive on price with other premium vodkas. This vodka is distilled from North Dakota rye and boasts a certified organic fermentation process, which is not an easy task. The water is sourced from the clean aquifers of Wyoming's Tetons, and every aspect of the vodka's production has an environmentally friendly aspect. A great vodka that you can feel good about drinking, that is Square One, plain and simple. Distilled from certified organic rye grown in North Dakota, using a certified organic fermentation process. For a truly unique vodka experience, you have to try Corbin. Without a doubt, this is a clear vodka unlike any you have tried and it all comes from the sweet potato. It requires 10 pounds of raw sweet potatoes to create every bottle of Corbin Vodka and every spud is grown on the family estate. The Souza's are farmers turned distillers who have created a fantastic farm-to-bottle vodka that is the first of its kind and a genuine experience. The vodka is exceptional. It is sweet and has hints of caramel and a perfect nuttiness that is very enjoyable. Corbin is just as good in cocktails as any other vodka, so mix to your heart's content. Corbin also produces a sweet potato gin and liqueur as well as two rye whiskeys (one of which uses sweet potatoes, of course). Small-batch vodka distilled from sweet potatoes in California's San Joaquin Valley. One of the leaders in the American craft vodka movement, 44˚ North Vodka keeps a relatively low profile, but inside each of these bottles is a vodka that is filled with spirit. 44˚ North Vodka is distilled from the famous Burbank and Russet potatoes of its home state of Idaho. Using a five-column still and Rocky Mountain spring water, the vodka is the pure essence of a well-crafted potato vodka and one of the best produced in the U.S. today. The clear potato vodka from this distillery is a wonder and I have tried the Mountain Huckleberry, which is a unique experience all its own. All of the 44˚ North Vodkas should follow suit in quality and its ability to mix up a fine cocktail. Premium Idaho Burbank and Russet Potato vodka produced in Boise, Idaho. Americans know the beauty that is the Idaho potato. It is vodkas like Blue Ice that utilize these home-grown spuds that can rival any potato vodka coming out of Poland. Produced in the heart of potato country, Blue Ice American Vodka is a fantastic example of a modern potato vodka. It is distilled five times, filtered for five more, and blended with those coveted waters of the Snake River Aquifer that distillers hold so dear. Blue Ice is a clean, slightly silky vodka that is invigorating. The price is also reasonable, so feel free to mix this into your favorite vodka drinks. Potato vodka is definitely a trend in American-crafted spirits and it is only natural that distillers grab on to those great Idaho spuds. Zodiac is one of those potato-loving greats and since its 2014 relaunch, it is gaining ground as a great vodka. Produced in Rigby, Idaho from locally-grown potatoes, Zodiac goes through a 91-stage distillation in a four-column still. It utilizes those clean waters from the Snake River Aquifer, and is filtered with Canadian birch charcoal. The resulting vodka is sipping-worthy, particularly tempting over ice. The price makes it ideal for creating quality vodka cocktails any day of the week. Premium American potato vodka produced in Rigby, Idaho. Hailing from the great state of Maine, Cold River is another fine potato vodka. The locally grown potatoes are distilled three times in small batches using a copper pot still. Each bottle is filled and numbered by hand in true independent distillery style. 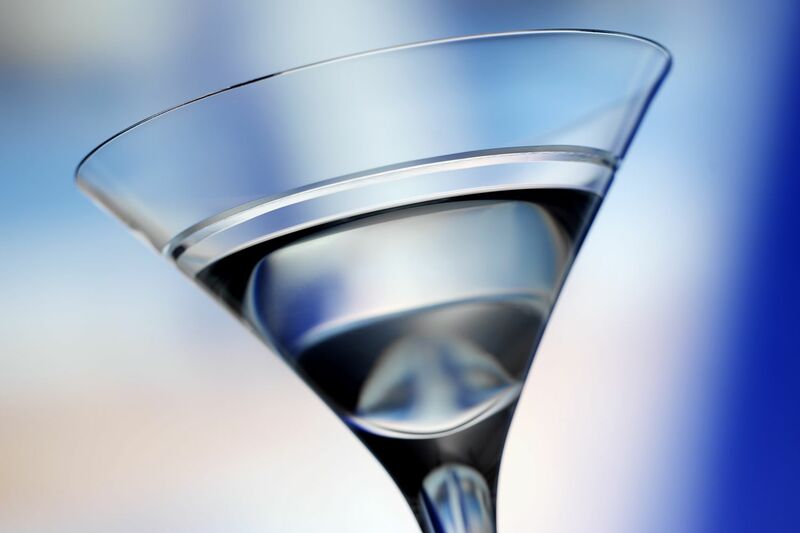 Cold River Vodka is a rich potato vodka that makes a mean vodka martini. If you are into gin, the distillery has you covered as well. Small-batch American potato vodka distilled three times in Maine. The bottle is sure to capture your attention and the liquid it holds is a perfect example of a really great American vodka. The inspiration comes from the founder, Yuliya Momontova-Calian's Eastern European roots in vodka making. Anestasia is produced in Oregon from American-grown corn and both the distillation and filtration are run five different times. The result is an exceptionally smooth sipping vodka that also makes a fine cocktail. Distilled from American corn, five times distilled and five times filtered in volcanic rock and quartz crystal. Dry Fly is a great microdistillery in the Northwest that has been making quite a name for themselves. It is well-deserved as all of their spirits are fantastic and the wheat vodka is no exception. Distilled from locally-sourced winter wheat, this Washington State vodka is pure perfection in a glass. Unlike other wheat vodkas, this neither too harsh nor too floral. The distillers at Dry Fly have found the perfect balance. Dry Fly Vodka is one that you will not mind drinking straight, in fact it is one of the best direct-pour vodkas. The price is reasonable for the high quality, making it a good candidate for creating top-shelf cocktails. Micro-distilled vodka produced from locally-sourced winter wheat in Washington. Photo Courtesy: © Ed Phillips and Sons Co.
Organic, environmentally and locally responsible, these are just a few of the great things about Prairie Organic Vodka. The vodka's pretty good too. Prairie is a Minnesota-made corn vodka that uses the grains grown by stake-holding farmers working close to the distillery. The entire operation is certified organic and kosher, the waste is used to fuel the operation, and even the bottles are made from recycled glass. This is a vodka that you won't mind mixing into any vodka cocktail that comes your way. It's truly a delight and at the price, it is a great value as well. Organic vodka distilled from corn grown in Minnesota near the distillery. Is Cabo Wabo Tequila Really Worthy of All the Hype?